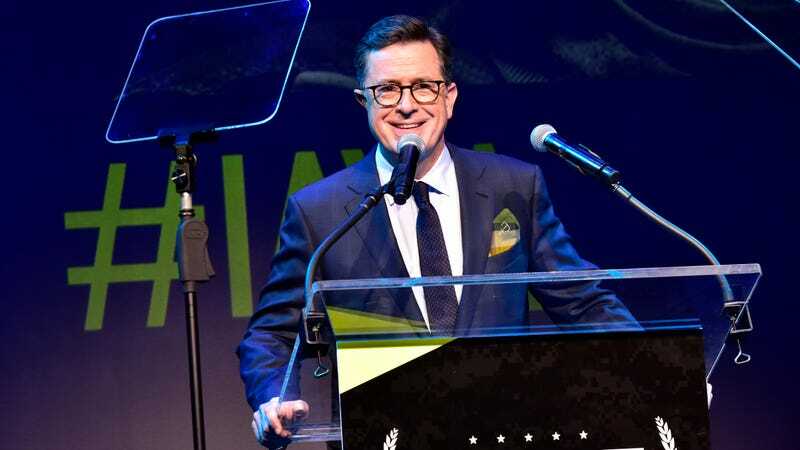 Admittedly, it’s a narrow margin: Per Vulture, Colbert’s averaging 658,000 viewers in the demo this season, while the NBC series is getting 656,000; still, as in politics, in the world of TV ratings, a win is a win. Colbert’s even pulling ahadwhen you only look at same-day ratings; usually, he has to rely on a buffer of sleepy delayed viewers to get his numbers up. Fallon managed to take back his demo throne by the end of the week, but still: It’s the first time Colbert has managed to steal a significant portion of Fallon’s cadre of loyal youths, suggesting that the reign of televised drinking games and lip sync competitions might finally be shaking at last.